Tired of not being able to see things that go "bump" in the dark? If that's the case, you need a night vision wireless security camera. These cameras take advantage of the latest technology in digital camera security systems, are easy to install, and are reasonably priced as well. Tired of not being able to see things that go “bump” in the dark? If that’s the case, you need a night vision wireless security camera. These cameras take advantage of the latest technology in digital camera security systems, are easy to install, and are reasonably priced as well. Can a night vision wireless security camera actually “see” in the dark? Well, indirectly the answer is yes. Although the camera doesn’t actually “see” in the dark, it uses infrared illumination to light the target area of the camera. This infrared illumination is actually invisible to the human eye, so we can’t see it, but the camera can. Before we get ahead of ourselves let’s back up and start at the beginning. • Pan-Tilt-Zoom or PTZ. This feature allows the camera to move “left and right” and “up and down” which greatly increases the field of vision of the camera. This camera can also “zoom in” on objects to enlarge their view. • Motion Detection. Camera can come equipped with motion detectors that turn the camera recording on only when motion is detected. • Audio Recording. Sounds can also be recorded as well as conducting two-way audio communication. • Internet Protocol or IP ready. Cameras can connect to and use the Internet for networking. The night vision wireless security camera captures images by using a very special electronic sensor. There are actually two different types of sensors and although they capture images in a slightly different way, they both produce the same end result (a digital video image.) One of the sensors is a Charged Coupled Device or CCD and the other is a Complimentary Metal Oxide Semiconductor or CMOS. It just so happens, that both CCDs and CMOSs are inherently sensitive to not only the spectrum of electromagnetic radiation we call “visible light” but are also sensitive to infrared radiation or “invisible infrared light.” (We call it invisible because as mentioned earlier, the human eye cannot see it.) Specifically, most night vision wireless security cameras are inherently sensitive to a band of infrared radiation called “near infrared radiation” or for our purpose, we’ll call infrared illumination. So where does the infrared illumination originate? There are some small amounts that are emitted (or radiated) from objects, especially heat and light sources. However, a night vision wireless security camera normally provides its own illumination using an array of infrared Light Emitting Diodes or LEDs that surround the camera lens or are right next to it pointing in the direction of the camera’s field of vision. The infrared LEDs use much less electricity than a typical filament light, and the illumination they emit can’t be seen by humans but can be detected by the night vision wireless security camera. There are some camera/systems that do not include LEDs around the lens but may use separate infrared LED “illuminators.” These illuminators can also be used with cameras that do already have LEDs to extend their range. This brings us to an important point. 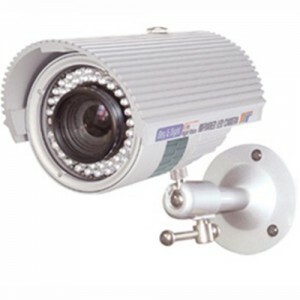 Since the LEDs provide the illumination for the night vision wireless security camera, every camera has a range. Be certain before purchasing your camera that you know what range you will require and that the camera you are purchasing can capture images within that range. Finally, as the name indicates, a night vision wireless security camera does not require a video transmission cable to be run from each camera to the DVR as other non-wireless systems do. The camera takes advantage of one of many different types of wireless technologies to send its images via radio waves to a receiver or a DVR with a built-in receiver. One example of this technology is 2.4 or 5.8 MHz technology; the same used for wireless land-line based telephones. Talk about making installation easy! 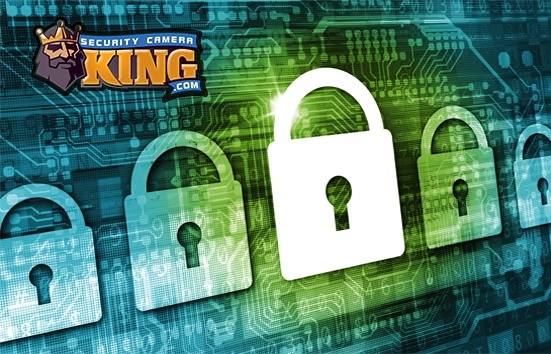 Contact one of our security experts via our on-line “Live Chat” or via telephone if you have any additional questions concerning a night vision wireless security camera.